"The protagonist of this work is not a hero chosen to save the world." Currently only the introduction page is functional. According to it, Hacker's Memory shares its setting and world with Cyber Sleuth, and will introduce 73 new Digimon to Sleuth's roster, for a grand total of 320. 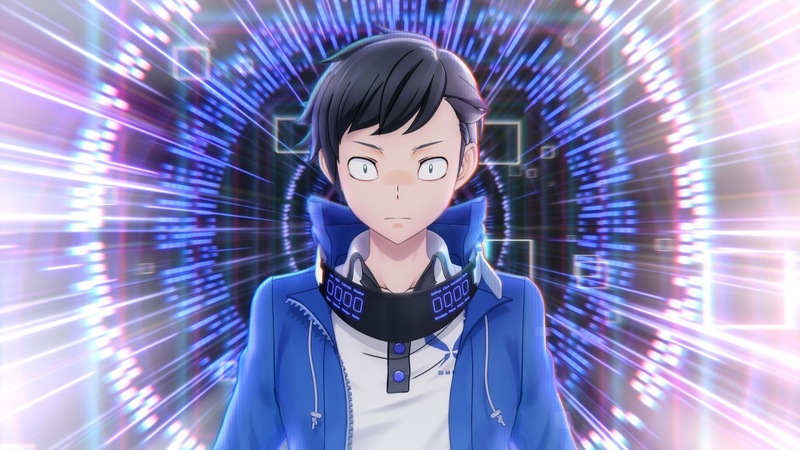 And since Hacker's Memory also contains the original game packed in free-of-charge, players will also be able to use the new Digimon from Memory in Cyber Sleuth, giving even veterans reason to play through it again. In this work, another story will be told from the flipside of the events in Digimon Story Cyber Sleuth, following a new protagonist. In a near-future Tokyo where the boundaries between the real and the digital are breaking down, the player becomes a next-generation hacker using the AI-bearing computer virus born of cyberspace "Digimon," and solves the case stirred up by antagonistic hackers. The protagonist of this work is not a hero chosen to save the world. In face of a global crisis, where the common sense and values held up to now have changed dramatically, he struggles desperately to protect his friends, family, and most important places. From here a cyberpunk story with strong science fiction elements begins! Although Sleuth is packed into Hacker's Memory, playing it is optional; the player can play Memory by itself without going through the previous game first. Digimon Story Cyber Sleuth Hacker's Memory will launch in Japan in 2017. Although no western release date has yet been announced, Bandai's European branch trademarked Hacker's Memory on the 19th.